The two general types of floor joist construction used over the foundation wall conform either to platform or balloon-frame construction. Platform framing is by far the most common type used. In platform framing, two methods of wall and joist connection are used and are generally referred to as the sill-plate method and the joist-embedded method. 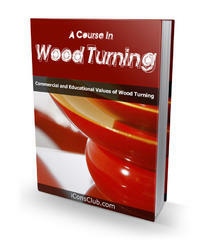 This method can be used with either concrete or concrete block foundation walls. 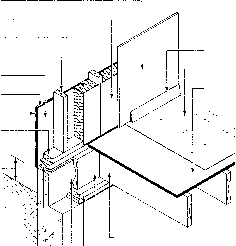 It consists of a wood sill plate anchored to the foundation wall (Fig. 34) for the support and fastening of the joists and header at the ends of the joists. 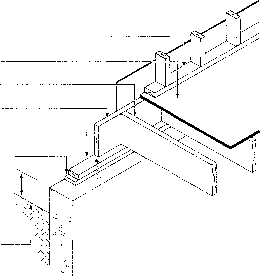 The sill plate is usually supported on the top of the foundation wall. In this case, the bottom of the sill plate should be at least 6 in. (150 mm) above the finished grade. Sill-plate method used in platform construction. 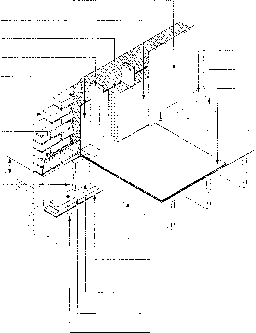 tion wall,_ and the wall framing is supported on the floor framing (Fig. 36). If the thickness of the wall is reduced, as noted above, the height of the reduced section should not exceed 14 in. (350 mm). Floor joists supported on a ledge formed in the foundation wall. Joists are toenailed to header and sill plate. Sill plate is anchored to top of foundation wall with anchor bolts. Wall plate supporting the wall framing is fastened to the sill plate with 3 in. (76 mm) nails spaced 16 in. (400 mm) on centre. Floor joists are supported on ledge formed in foundation wall. 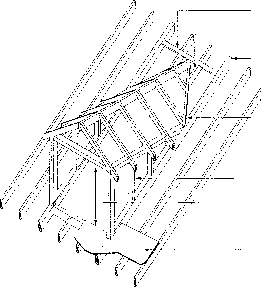 Joists are toenailed to header and sill plate. Masonry veneer supported on top of foundation wall. Wall framing supported on top of the subfloor. Floor joists embedded in the top of the foundation wall. 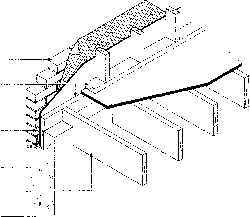 Masonry support using joist-embedded method of floor framing. Can sill plate be the toe plate for a wall? How to anchor joists to concrete block walls? 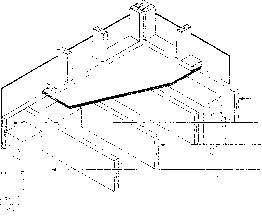 Can you land floor joists on top of a footing projection? How to anchor a subfloor to a concrete foundation? How to tie in floor joists to the foundation? How do floor joists sit on concrete foundation wall? What do they call the conrete between joists on a foundation wall? What do the call the metal going through center of a concrete joist. ?